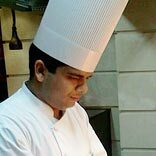 An interview with Chef Ashish Massey, Corporate Chef, Aanch. In a candid chat with Restaurant India, Chef Massey talks about kitchen designing, steps to make customer happy and satisfied and also about the evolution of Indian food connoisseurs. Please tell us something about Kitchen designing. How would you advice a restaurateur to design his kitchen? There are few basic steps for designing kitchen. How many covers the restaurant will have, space allocated for the kitchen, type of service the restaurant will have. Kitchen should always be designed in the manner of the work flow; hot section and cold section should always be marked prior, ventilation and exhaust should be given properly. Pot wash area should not be too far, fire system should be installed, and drainage should be good. You are an expert in Italian and North Indian cuisine. Which according to you is most preferred by the customer? Both Italian and North Indian cuisine are preferred though youngsters have more inclination towards Italian cuisine whereas family prefer North Indian cuisine. During lunch time there is good movement of continental snacks too. What are you doing at Aanch to make your customer happy and satisfied with food and how do you maintain quality of food? Customer will always be happy if they get the same taste and same flavour each time they have their meal at our place. We focus on Standard recipe for each of our dish in the menu, we have specified raw material supplier which gives us the raw material as per our specifications, and we use fresh herbs and vegetables. We make our own masalas, food trails are done till the time we are satisfied with the product. Please tell something about the evolution of Indian Food connoisseurs? Indian cuisine is endless. You can’t taste everything in your whole life. There are many states that have endless cuisine and every cuisine has its own distinct flavour and taste. Indian cuisine has different spices in every region, different cooking style in different states. You can have so many dishes from single ingredient and it will taste different in each state. For example rice. Its starts from Kashmir as pulao, then become tehri & kheer in North, then biryani in the Deccan and ends as lemon rice in South. Every dish has the same ingredient but different flavours. What is your role as the Corporate Chef at the restaurant? I manage day-to-day kitchen operations and culinary team, execution of daily food service, quality, technique, portion, presentation and food cost control, support management with catering proposals, menu pricing and menu innovation, track food costs while managing vendors to provide standard cost-efficient products, estimate food consumption and requisition of food purchase, standardise production recipes to ensure consistent quality, responsible for continued growth of overall catering: Cost, Quality, Presentation and Innovation. Assist manager in menu planning and costing for special event catering, collaborate with General Manager on expense tracking for accurate financial projections, Ensure that appropriate sanitation, maintenance and safety standards are followed and train and manage kitchen personnel and supervise all culinary activities. What made you choose a career in food business? Who was your inspiration? Men are generally great foodies. I believe the best way to reach someone’s heart is through his stomach and a chef is the most satisfied person in his job when he sees that the food prepared by him is being loved and appreciated. That is why I choose a career in food business. Food has always attracted me. From very childhood I had an interest to cook with my mom. She is my first inspiration. People say I cook really well but still she is the biggest competitor to me and I’m still not able to beat her. What is your restaurant doing to maintain the healthiness of food? We use fresh ingredients; maintain hygienic condition both for staff and customer and we have proper storage of raw material and cooked food. What are you doing at Aanch to go delicious by design? We try to make our food visually appealing yet simple in presentation. We create vibrant colours using vegetables, oils and sauces and above all playing with different crockery designs. Please explain something about the visual appeal of a dish? When we sit down to eat, we eat with our eyes first. The way we plate and present the food is as important as the taste of the food. The way the food is cut and cooked affects how food is plated. Before food is served, wipe the edges of the plate so they are clean. A key to plating is artistic flare by creating eye appeal. This will lead to enhanced customer satisfaction. Colours, cooking, textures, shape, and flavors are all factors in plating your food. Make your plate eye catchy by adding vibrant colours, cooking and plating with a mixture of textures can not only be pleasing to the eye but also to the palate. Moreover, various shapes on your plate add contrast and variety and at the end garnish well.